I write this blog to test if my Hackergotchi appears on Planet Eclipse. Normally you ask the webmasters to insert your Hackergotchi into the relevant files but now that we have Gerrit, the only thing the webmasters need to do is to check the code and accept your patch. This is how I added my own Hackergotchi to Planet Eclipse. First I filed a bug against Community/PlanetEclipse.org. You do this by clicking on this link. You also have to sign the CLA. You can do that from bugzilla. Then you need to get your Gerrit password. 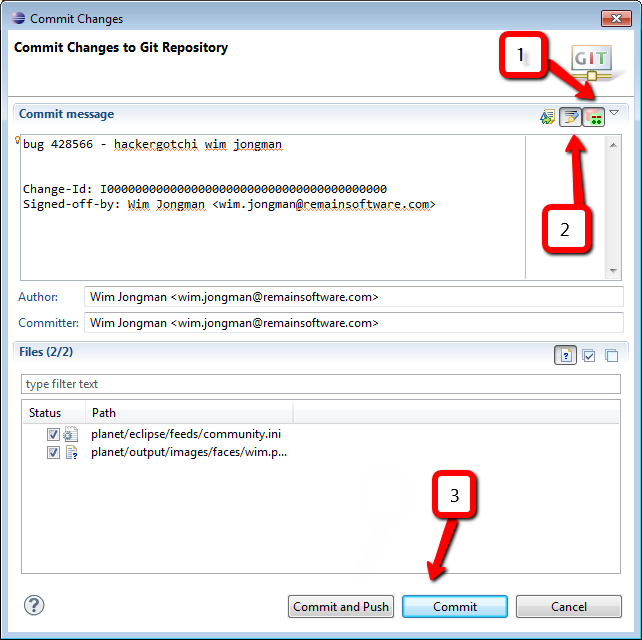 You do this by clicking on this link and sign on with your bugzilla e-mail address and password. After you have done this, a screen appears where you see your Gerrit credentials. Write them down. 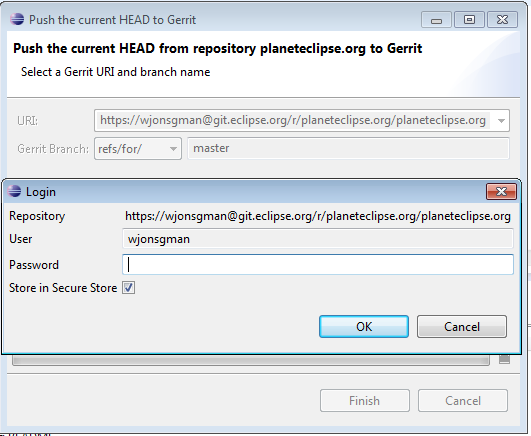 Then go into Eclipse, open the "Git Repository Exploring" perspective, click "Add an existing local git repository to this view" and pick the planet eclipse repository that you have just cloned. Create a Hackergotchi. Mine is about 90x120 and you should also be in this range. Be creative. Make sure you have a transparent background. 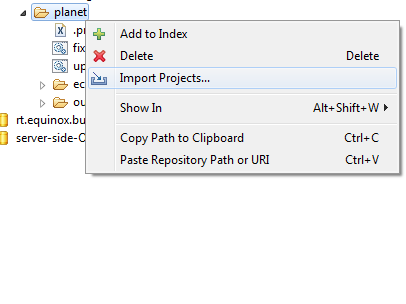 Once your Hackergotchi is created, open the package explorer and find the "planet" project. Then open the "output/images" directory and place your Hackergotchi in the "faces" directory. 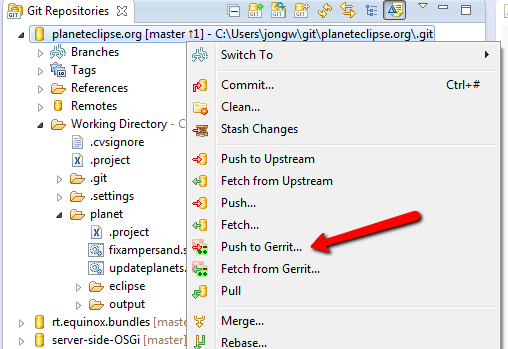 Then open the "eclipse/feeds/community.ini" file (open in text editor) and find the link to your blog. Then just below the entry, make sure to put the following content just below your blog entry. Your name should already be there and the "facewidth" and "faceheight" variables should exactly match the image dimensions. The "face" variable should exactly match the name of the image you placed in "output/images/faces". Click on the project and select "Team/Commit ...". You have to add a Gerrit change-id and you have to sign-off the change. 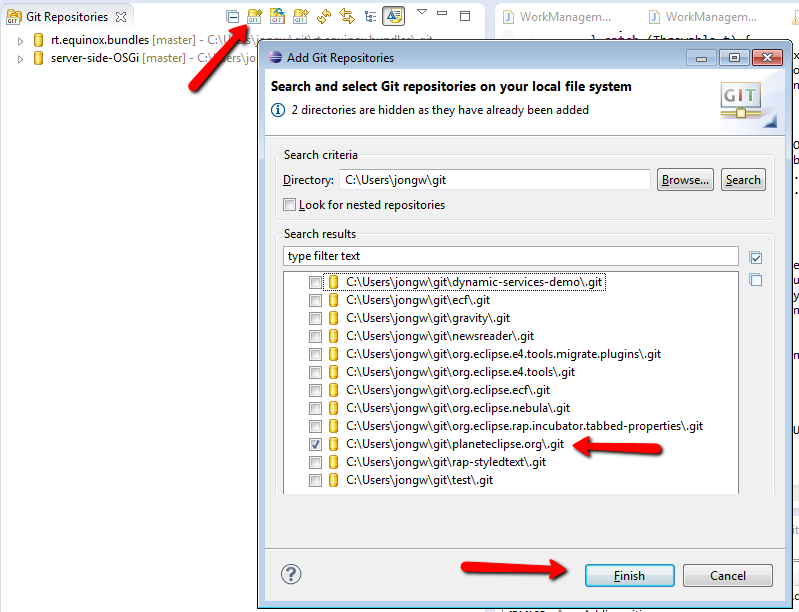 Then press "Commit"
On the dialog that appears type "master" in the field that follows "refs/for" in "Gerrit Branch". Then in the Login dialog box you type in your Gerrit password. You should also be able to find it in Gerrit under "My/Changes"
Go to the bug again and enter this link in a new comment.